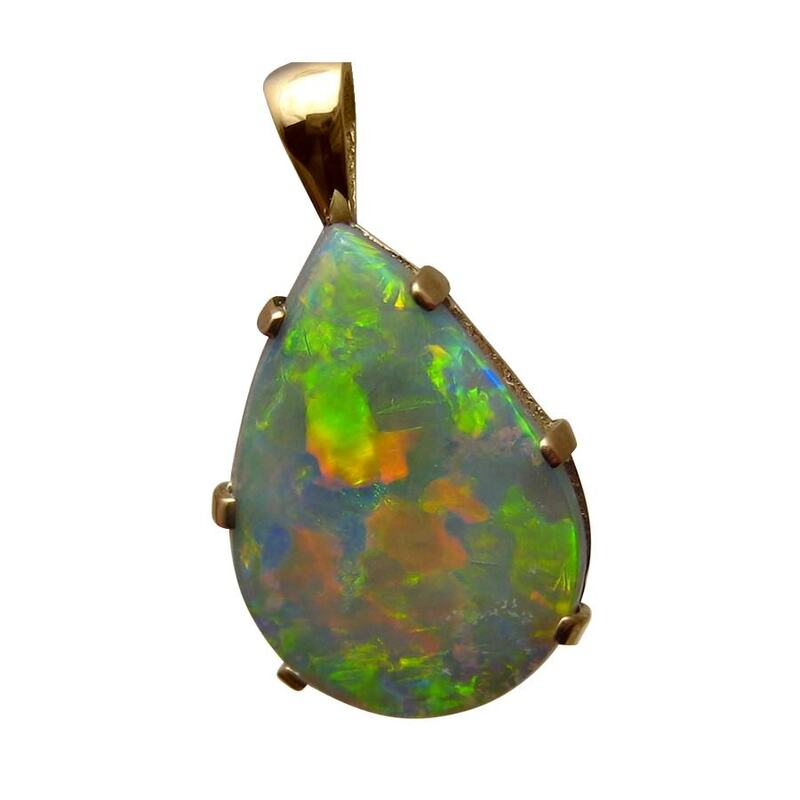 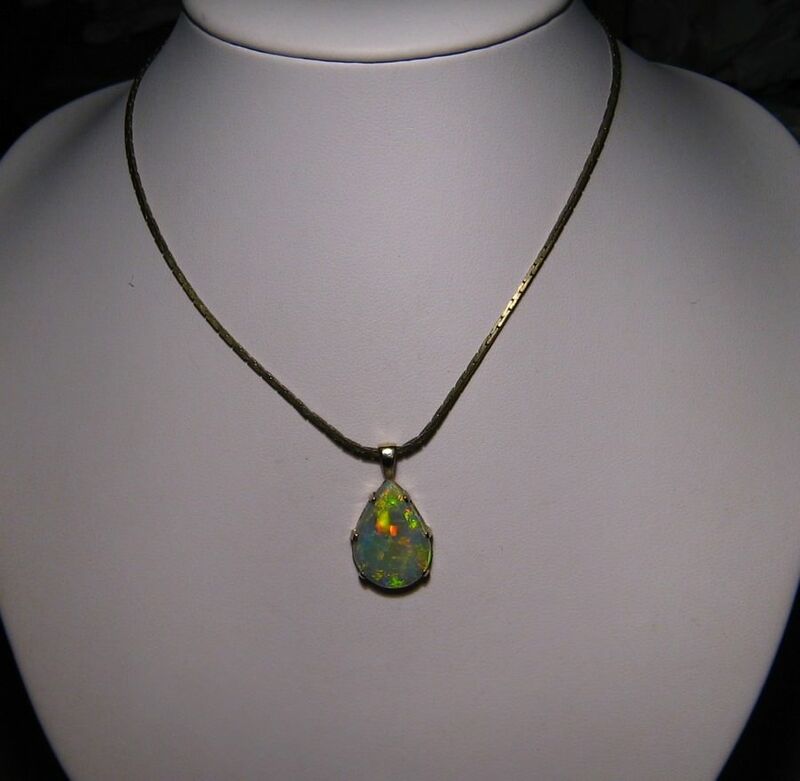 A beautiful Opal pendant in a simple 14k Yellow Gold setting prong set with a Harlequin Black Opal. 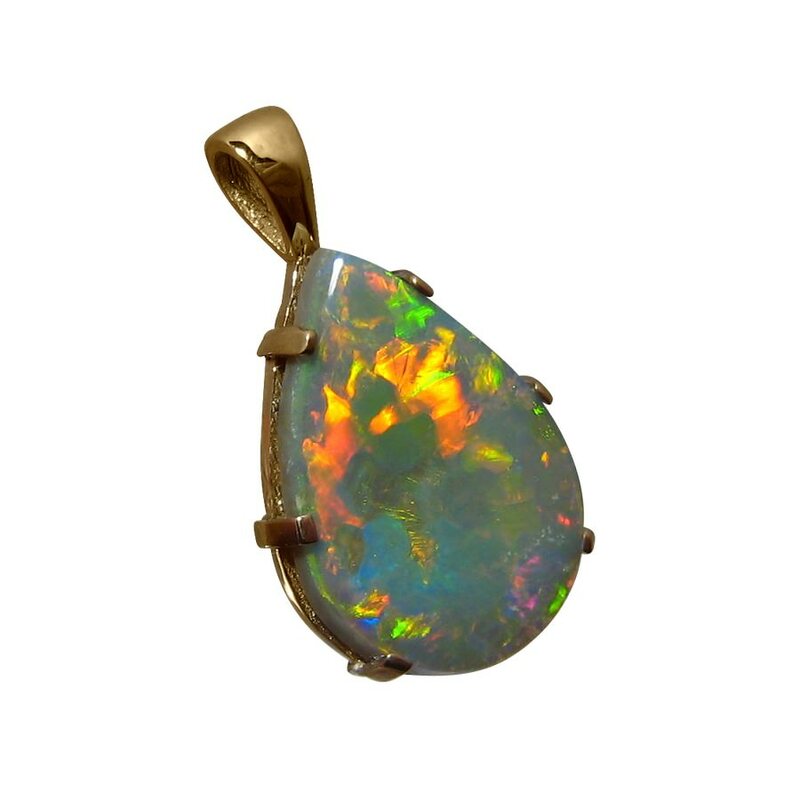 A solitaire Black Opal pendant in 14k Yellow Gold that has a beautiful color mix in a fantastic play of color best viewed in the video below. 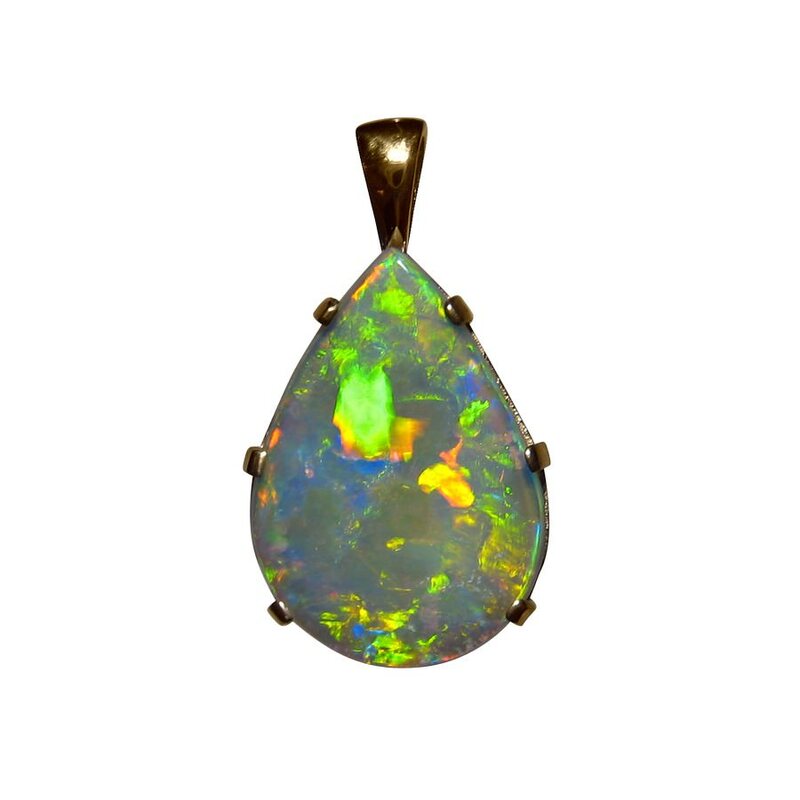 The Lightning Ridge Black Opal weighs just under 4 carats and flashes fiery colors that are very bright ensuring the stone is seen when worn. 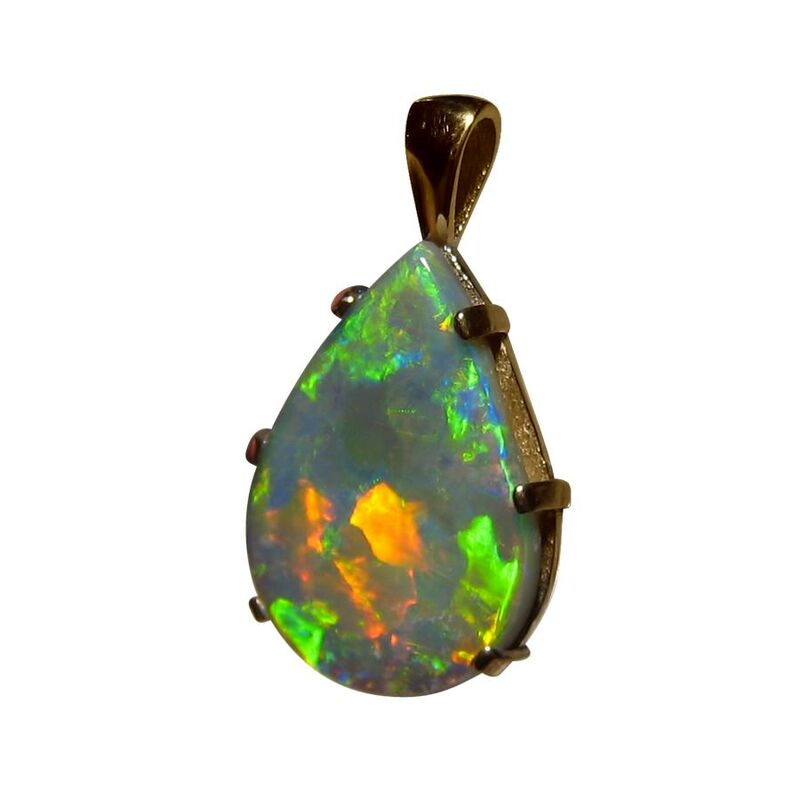 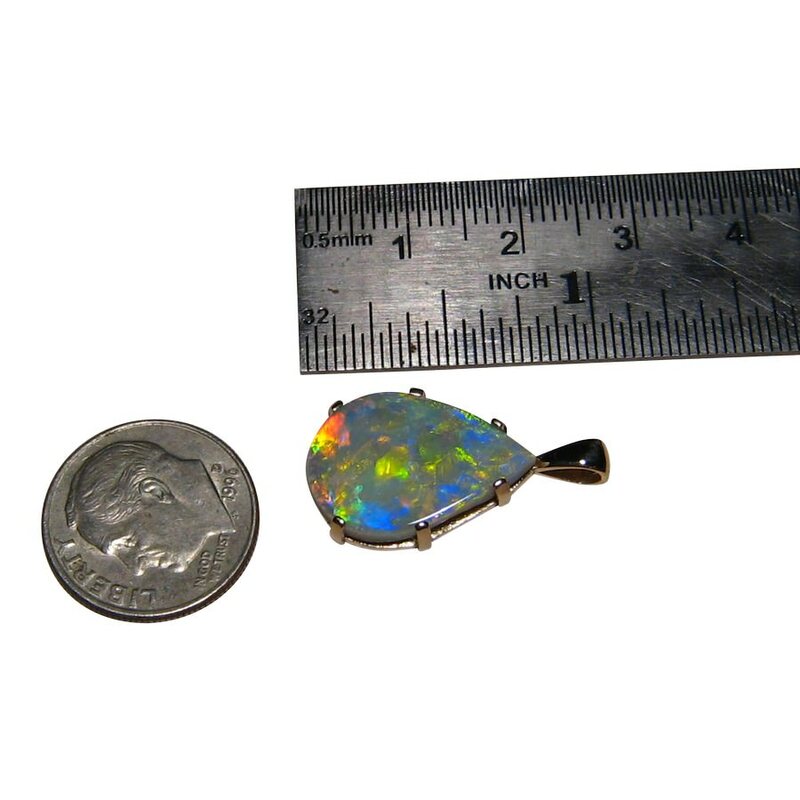 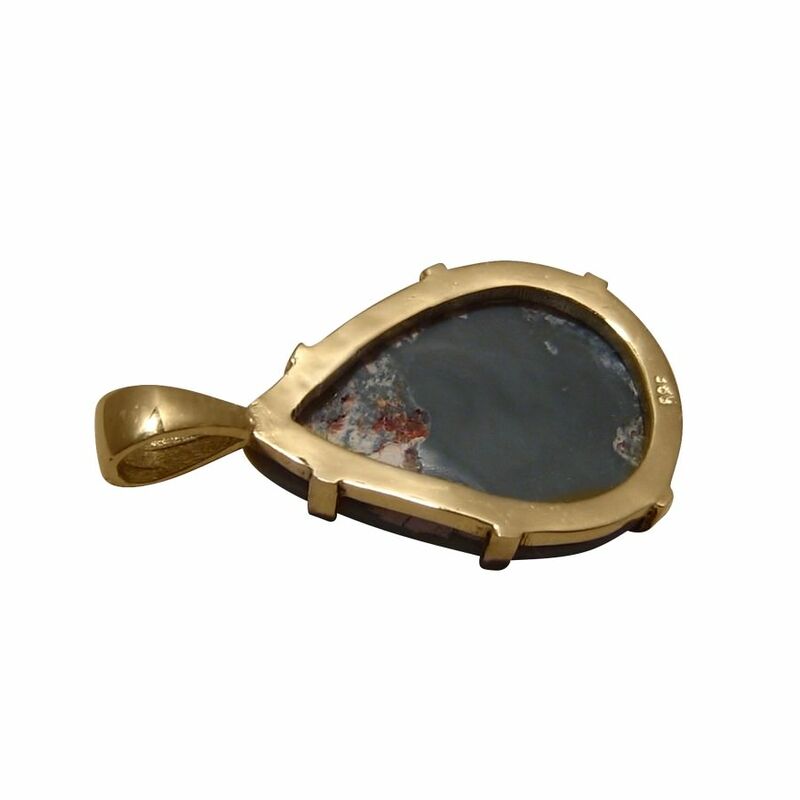 This impressive Black Opal pendant is ready to ship now but does not include a chain.